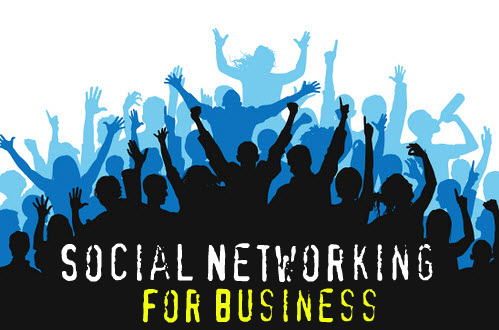 A quick word on how to best use social media–folks, this is a powerful communication tool. It is NOT… I repeat… NOT a replacement for in-person relationships. Rather, social media is an enhancement to in-person relationships. It helps you stay in touch with people you’ve met in person or who have similar interests as you do. It helps you communicate with those individuals and the public at large (depending on your privacy settings) — to communicate who you are and what you are all about. It helps you brand YOU, and you control the content. Let people know what matters to you, what you know, what your opinions are and even, if you want to share this — where you spend your time and show a bit of your sense of humor. It can, in some cases, lead to in-person introductions as well and real-time networking opportunities, events and causes. Too often I hear people that have a misconception that social media dehumanizes and disconnects real personal relationships. When used properly, I assure you, it can enhance relationships significantly–both personal and professional. 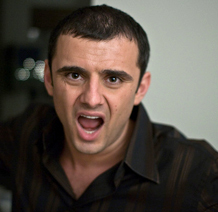 Gary Vaynerchuk puts his story out there–in every way imaginable. People refer to him as everything from brilliant and a powerhouse to a thought leader. Sounds like publicity hype? Don’t worry, there are a few out there who find him to be loud and crass, too. Truthfully, he’s a little bit of all those things, and that’s what makes him great! My opinion, he’s on-fire passionate and that passion is contagious–he spreads it on liberally to anyone who cares to pay attention. Not only is he passionate–he’s knowledgable. He’s knowledgable about his trade: wine, and he’s equally if not more knowledgable about his audience and how to connect with them in a meaningful way. This shows in everything… EVERYTHING he does. Watch him on winelibrary tv, read his Tweets, his book, watch him during an interview or best yet, watch him speak in public. You may have noticed the fact that I have not yet mentioned that Gary is best-known for being a social networking rockstar. This wasn’t an unintentional omission. I’m getting to it, I promise. In reading “CRUSH IT!,” it provides very clear steps and recommendations on how to develop a brand, cashing in on your passion, and using the web and social networking platforms. He would know, he’s done it with a level of mastery that outshines most anyone’s. He also nows which mediums best suit his particular style and recommend other styles Yet, while the book is very descriptive about methods and platforms–I believe the greatest value in the content isn’t in those chapters. It’s the stories. It’s Gary’s stories that connect with you, that bring you inside his world and offer you the privilege of seeing the world, for a moment, through his eyes. These stories also project Gary’s sincere commitment to motivate you, the reader, to work to spend your life doing what you love. Put your family first and your work second. Hustle and CRUSH IT! I realize that this may sound a bit more like a marketing post than a book review. That’s okay. I assure you that while I follow Gary on Twitter, I do not know him, and I am not necessarily even endorsing his book. Really, I’m not. Because “CRUSH IT!” isn’t for everyone. It’s not for the guy who thinks “good enough” is perfectly fine. It’s not for the person who enjoys going to work in an office everyday and doesn’t like to stand out from the crowd. But, if you’re reading this blog, “CRUSH IT!” probably is for you. Just my guess. Truthfully, not everyone is cut out to do what Gary does. He talks a lot about DNA and being true to yourself. Personally, I know my DNA. Neither of my parents worked for other people for very long. Most of their life they were free agents, creating opportunities, networking and making things happen for themselves, their family and community. I realized that I was living waaaay out-of-synch with my DNA for a long time. Far too long. And this wake-up-call lead me to where I am now, working my tail-end off to design, create and live my next chapter in life. For more about this, please check out www.expatwannabe.wordpress.com. But that’s me. Sincerely, not everyone is cut out to be an entrepreneur at all or even cut out to develop a personal brand to boost their value in their industry and job market. I will say that if starting a business doing something you love has you researching the web late at night, following and commenting on blogs on a subject you love, if you have a deep passion that you love to talk about or write about, and you find yourself thinking and dreaming about fulfilling a dream, an ambition, you’ll want to buy a copy of “CRUSH IT!” Who knows, it might inspire you to write a blog post that sounds a bit like a marketing piece, too. Email is NOT sooooo 20th Century. 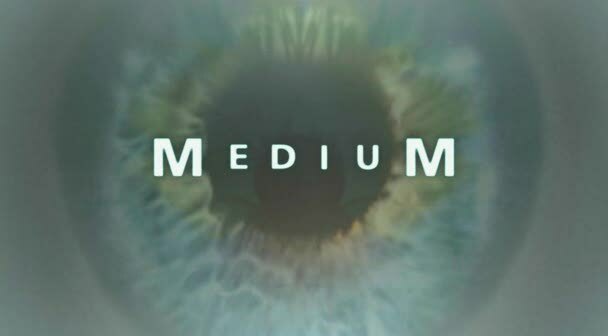 It’s still a critical communication medium. Don’t assume everyone is reading their Facebook updates all the time. Take a second to send an email. It’s bad enought that hand-written letters are archaic. eMail is not. Use it. 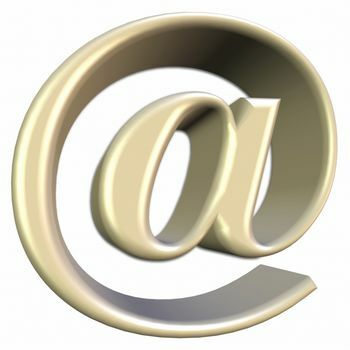 Email, at best, is interactive. Hyperlinks are fantastic ways to keep messages short while providing additional information. Eg, when inviting someone to a new restaurant, email them a link to the place where they can get directions, look at a menu, the decor, etc. When in doubt, don’t send it. If you’ve written something, particualrly a negative something, and you’re hesitating sending it, hesitate forever, and delete it. Don’t send. At least, save it as a draft and wait a day or two. If at that point you no longer doubt wheather you should send–you feel strongly that you should send–okay, click send. But, don;t say I didn’t warn you. Keep in touch via email. Facebook and other social networking sites are a good way to reach multiple “friends” at once and keep them up-to-date on you, it’s quite passive and impersonal. While I still recommend a hand-written letter or at least a card now and then, at least send an email. Make it personal, one-on-one. Let people know you’re meaning to speak specifically to them. Connect.